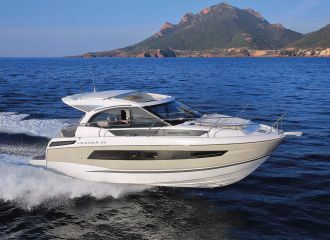 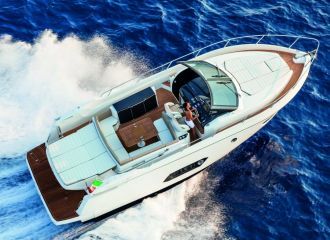 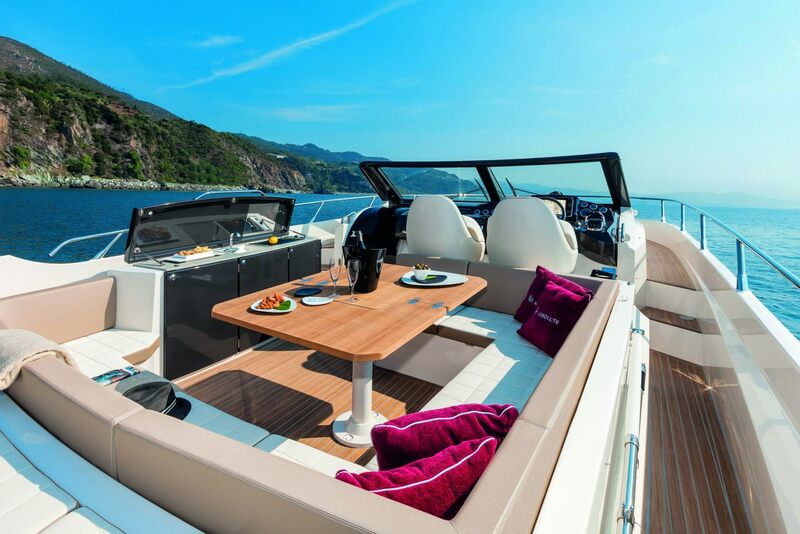 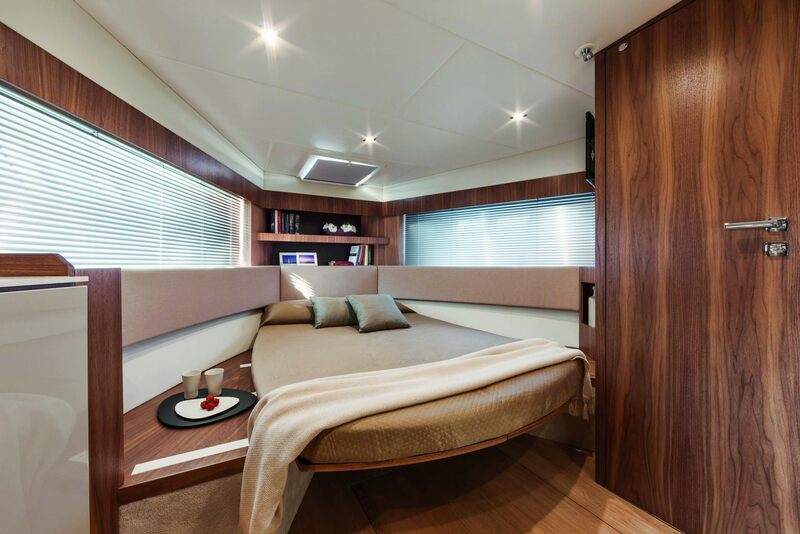 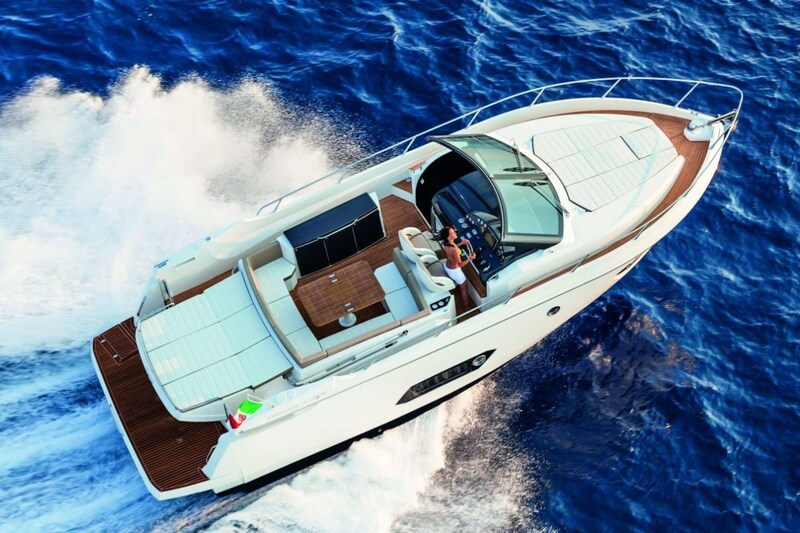 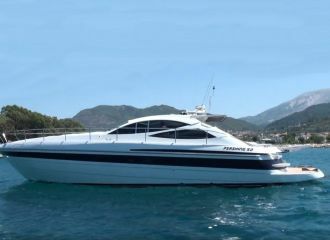 This Absolute 40 STL is a sporty day boat perfect for a cruise between Monaco and St Tropez in the south of France. 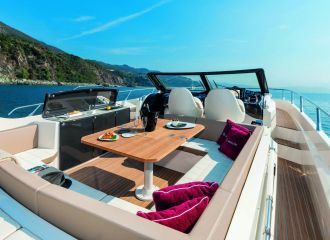 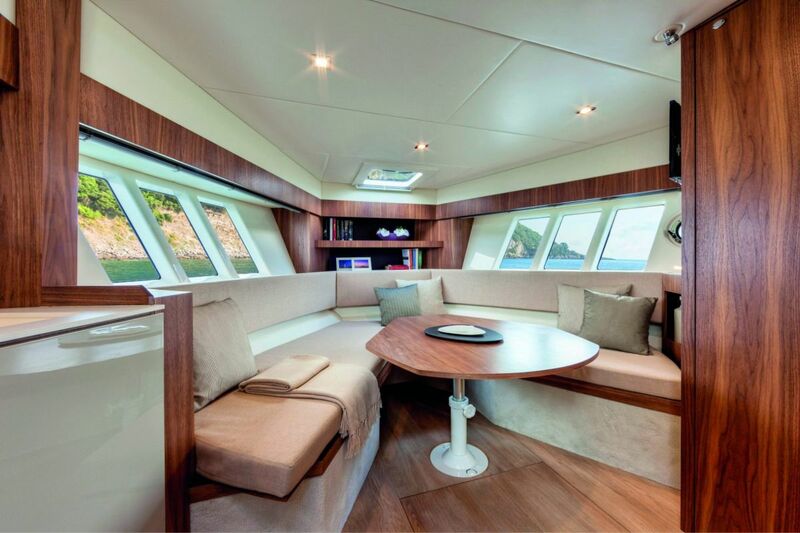 The deck offers comfortable space with 2 sunbathing areas (aft and bow) as well as a U-shaped sofa with a table for up to 6 guests. 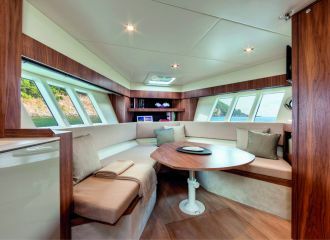 A bimini can be opened if required by the guests. 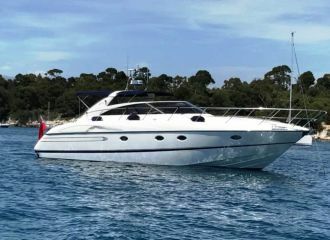 Another nice boat from Absolute for a day boat charter on the French Riviera. 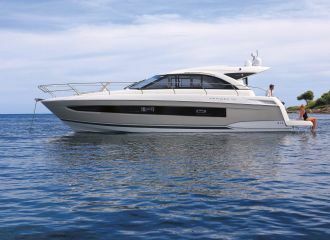 total 2400	€ Excluding APA ?